A few years ago I started writing articles at Podiumcafe.com about the best cycling climbs in France ignored by the Tour de France. See here or here for examples. 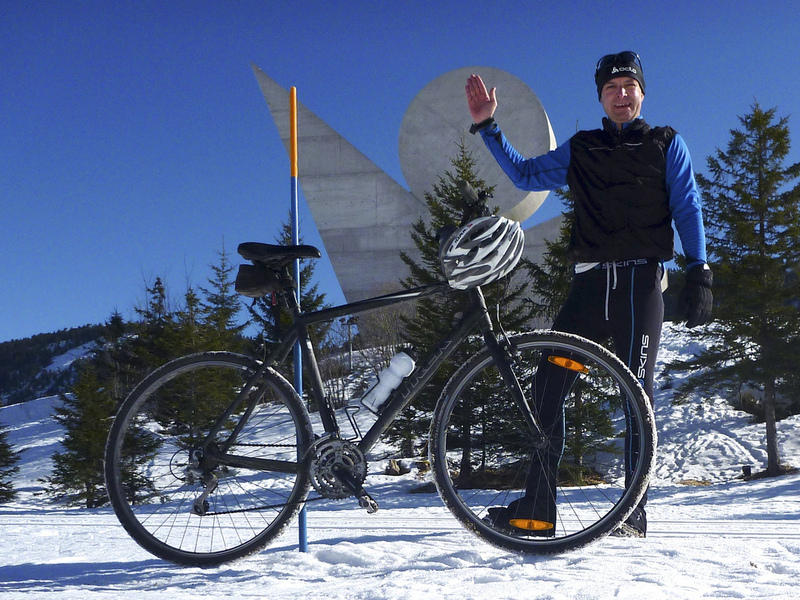 That first article in 2011 had Mont du Chat and Grand Colombier at the top of the list. Happily, since then, Grand Colombier has become almost a Tour regular (’12, ’14, ’17), and Mont du Chat featured in the 2017 Tour after only one previous appearance more than two decades ago. But that list also included the excellent Plateau/Col des Glières. 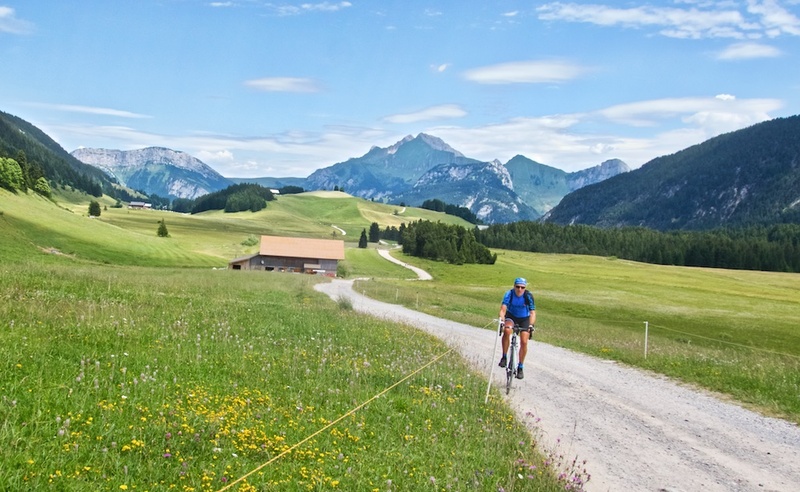 On the very edge of the north Alps, it has still sadly never appeared in the Tour de France. 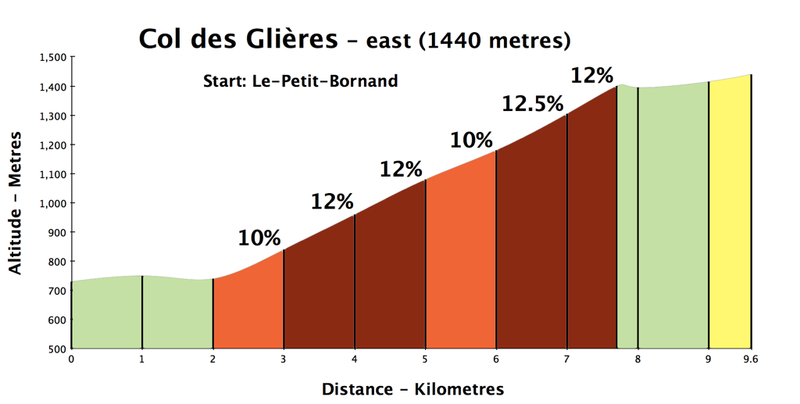 This article will describe the two road bike climbs to the col as well as three col-filled mountain bike routes in the massif (all shown on map below). The Red route (counter-clockwise). 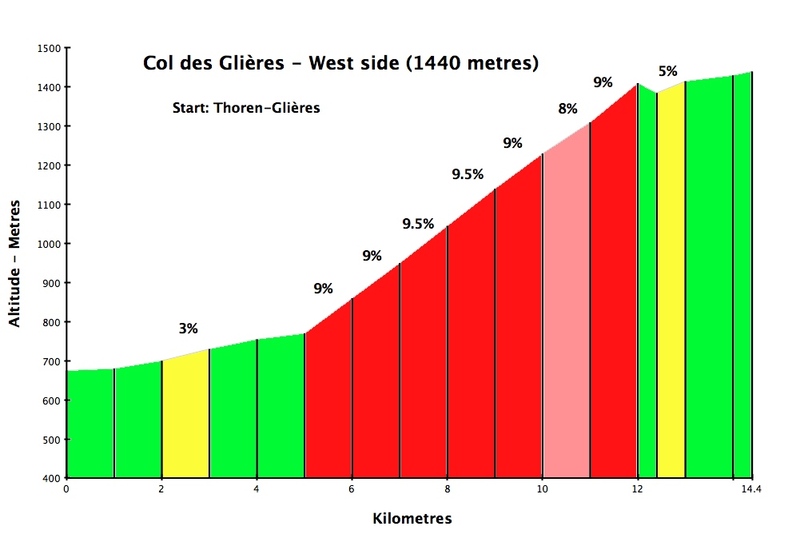 Climb starts near Thorens-Glières. This is the “easier” of the two paved sides. But it is steadily 9% or so for seven kilometres. Plenty of hairpins, it’s a very fun climb. At the top of the main ascent is a col: Le Collet. Then a small descent and an easy couple of kilometres to Col des Glières – next to the museum and National Monument. There are several restaurants and plenty of parking for any one just looking to hike. 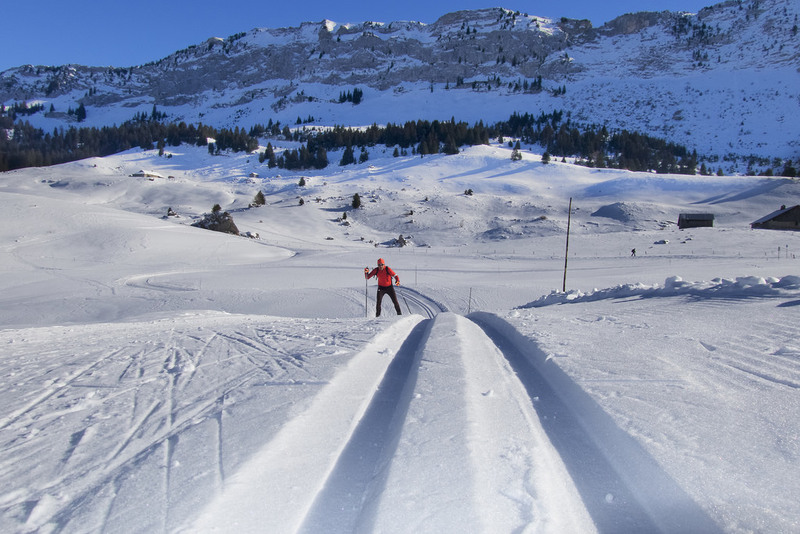 In winter, Col des Glières is probably my favourite cross-country ski location. Beautiful trails at all difficulty levels. The Red route (clockwise). Climb starts near Le-Petit-Bornand. 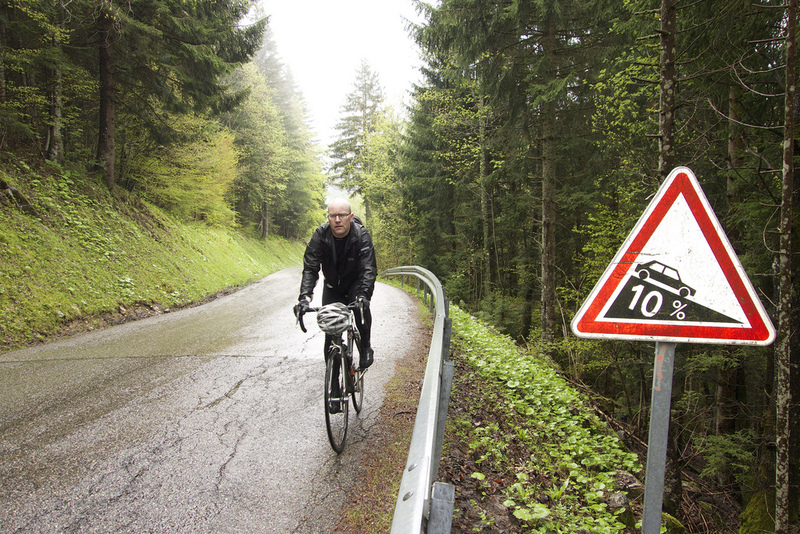 This is the crazy (paved) side of Col des Glières. Just look at that profile. It is very difficulty to find a steeper paved 6 kilometre stretch anywhere. The sign at the bottom proudly announces 5.8 kilometres at 11.5% average. Ouch! But it’s quiet, and beautiful. A good place to suffer. The paved road ends at the top of the steep stuff. Then two “slightly” uphill gravel kilometres to the geographic Col. In fact, this is one of my favourite winter climbs. 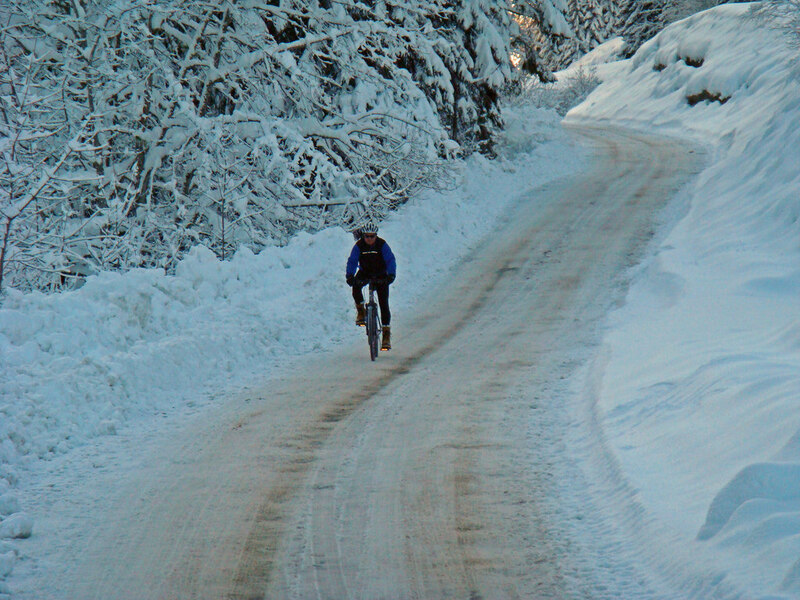 The paved roads are kept open in winter to facilitate the cross-country skiing (video). 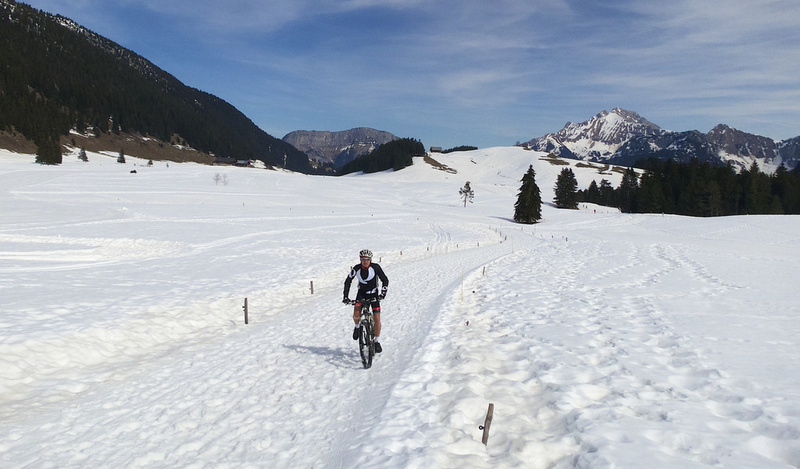 So often in winter, I wait for a nice sunny day and cycled up and traverse the snow covered gravel stretch on mountain bike (see here). 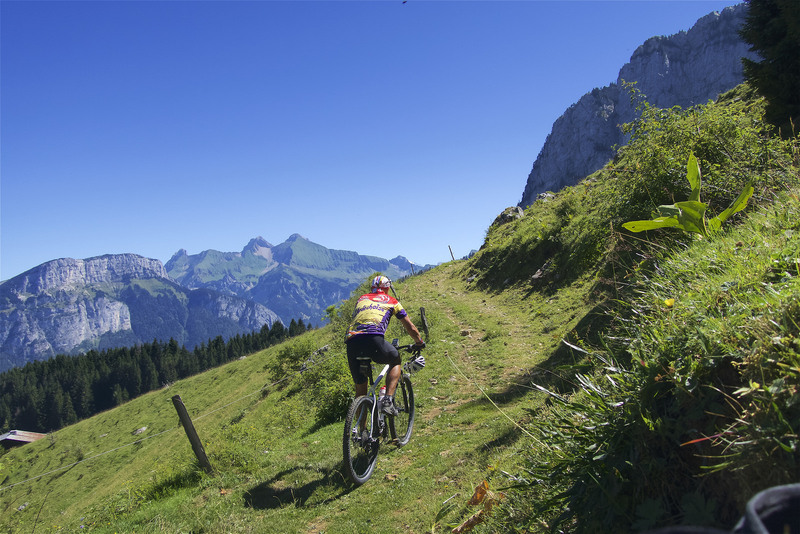 This hyper-quiet mountain bike route starts in Entremont and climbs high above the plateau on a deserted gravel farm route (1765 metres). It’s a tricky descent down to the Plateau, but fabulous. See here. 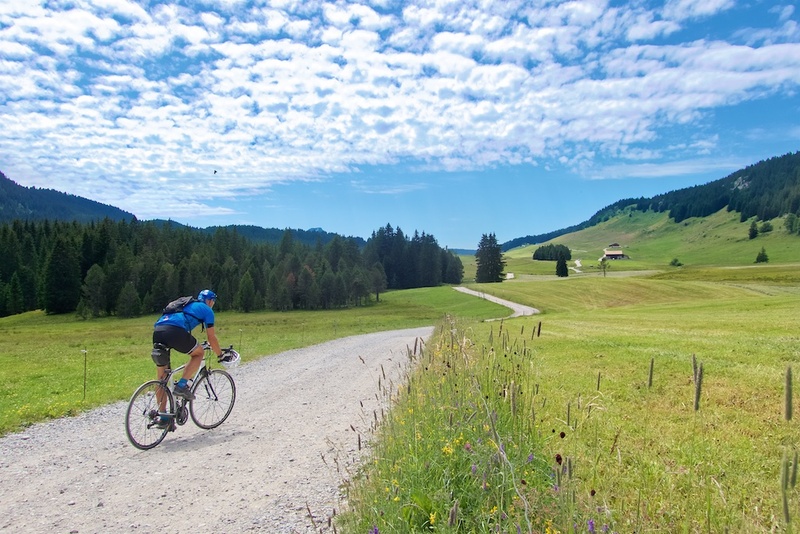 This mountain bike route enters the massive from the north passing a couple of gravel cols, then enters a smaller valley just north of the Plateau. A touch of not-crazy hiking up to Col du Spée makes for a quiet, creative, excellent loop. See here. A great but challenging “exploration” loop on the north edge of the same massif as Plateau des Glières. 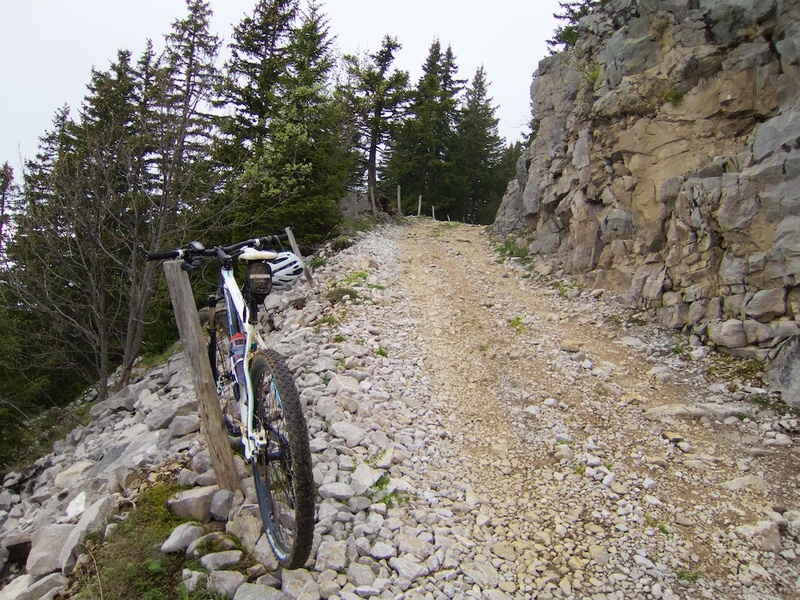 To reach the high point – Col de Sur Cou (1605 metres) – it’s first a tiny paved road, then steep gravel, and finally trails. Fabulous. Details here. 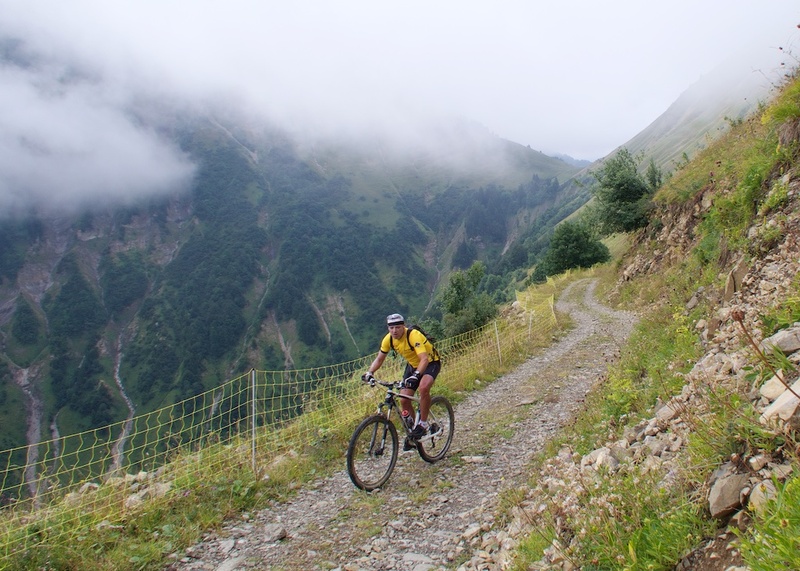 The route includes Col des Chasseurs (Hunters Pass) – how great is that for col hunters? 😉 Note, the route finishes on an incredible ridge road above the little ski station of Orange – I’ve marked it on the map with a star. Dear Monsieur Prudhomme: it’s a shame that Plateau des Glières has never appeared in the Tour de France. 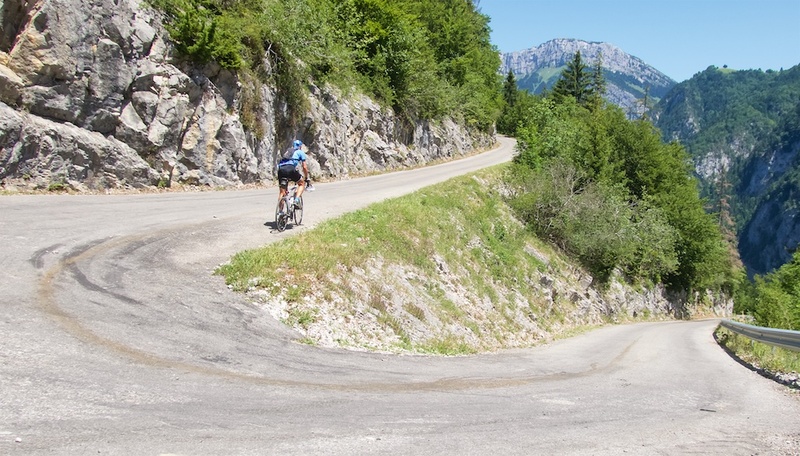 If there isn’t enough money for this historic and important French location to be a summit finish, then remember: it’s easy to traverse the gravel summit. Well, Monsieur Prudhomme must have read your plea in the final thoughts. Not sure which way, but stage 10 2018 includes one of the climbs and the gravel. Looking forward to watching that one ! More to the point, all of us non-pros can go and ride it too, since the Etape du Tour route is doing stage 10. Entries open Monday!! Not just Monsieur Prudhomme and the Tour de France… The Tour de Savoie Mont-Blanc is going over next year as well. Apparently the Tour de Savoie was over four years ago. The journalists were calling it “un Paris-Roubaix alpin” in the race reports. Exciting times! Can’t wait to see the Tour over this this year! It’s going to be an exciting stage! Hello Will, you were so right about the tour de france. But in the long end you might regret that the tour was there this year. It might be crowded in the future since we are all planning to do these climbs. Which village or town would you suggest as starting point for 3 or 4 rides or an extended weekend? Perhaps the little ski stations of Le Grand Bornand or La Clusaz? Or slightly further away: Annecy. Friends of mine swear by Thorens-Glieres. I will start looking for a suitable hotel to host our club of 20 cyclist.